With over 30 years of experience, we provide sterile, ready-to-use density gradient centrifugation media for the preparation of a wide variety of cell types and organelles. The silica colloid, Percoll, is especially useful as a first step to enrich for cell populations before attempting finer resolution or extraction of nucleic acids. Considerable time and resources may be saved by using Percoll as a first step before employing more refined methods. 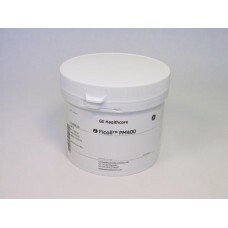 Ficoll-Paque PLUS is optimized for the isolation of mononuclear cells from human peripheral blood. 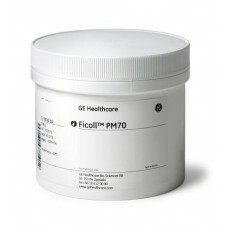 Ficoll-Paque PREMIUM products are sterile, ready-to-use density centrifugation media used to produce different density preparations of mononuclear cells from peripheral blood, bone marrow, and umbilical cord blood by density gradient centrifugation. Ficoll-Paque PREMIUM products are manufactured under a Quality Management System certified to ISO 13485:2003. High molecular weight sucrose-polymers formed by copolymerization of sucrose with epichlorohydrin. 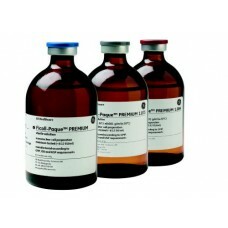 T..
Ficoll-Paque Plus is a recognized standard in laboratories worldwide for the isolation of human lymp..
Ficoll-Paque PREMIUM products are a range of sterile, ready-to-use density gradient media for the pr.. Complete Packsize6 × 100 mlDensity Max.1.074 g/mlFicoll-Paque PREMIUM 1.073Ficoll-Paque PREMIUM prod.. 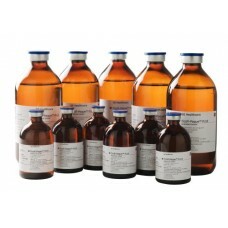 Complete Packsize6 × 100 mlDensity Max.1.085 g/mlFicoll-Paque PREMIUM products are a range of steril..